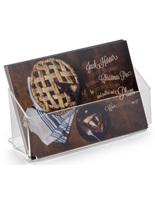 The single pocket plastic brochure holder has a 5” high back in order to support smaller, half-height literature. 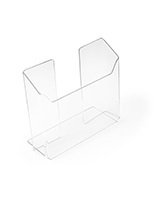 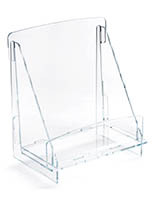 The 9” wide clear acrylic display is able to hold survey cards, short magazine, or small catalogs placed side by side. 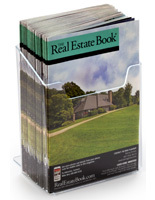 The brochure holder with 2” deep container is made to hold many pieces of literature for less refilling needed. 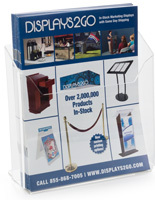 The countertop display has a back piece of clear acrylic to help steady the fixture and keep it from tipping over. 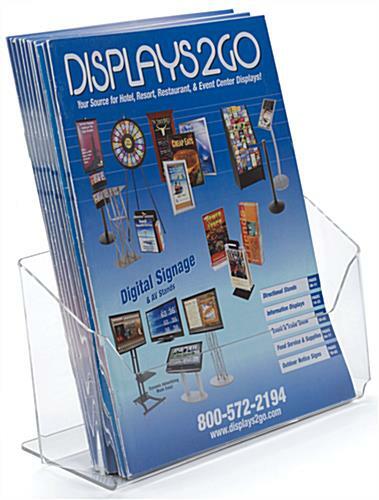 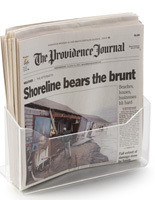 The holder is best placed in restaurants, banks, and department stores to promote business with print media placed at countertop height for great views for customers. 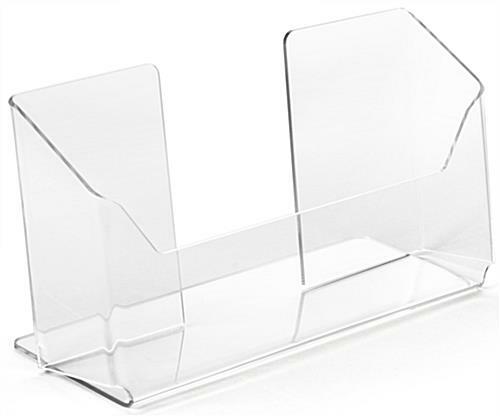 The pamphlet container has a notched front that allows for easy access to whatever is placed inside of it.